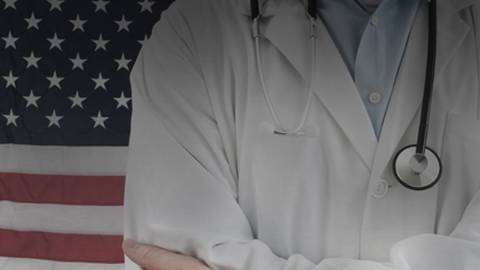 Next on ReachMed, Voices from American Medicine featuring perspectives, challenges, and triumphs from medical professionals on the frontlines of health care. Now here’s the host of Voices from American Medicine, Frank Russomano. One cannot understand policy without appreciating the philosophy that is driving it. That’s a passage taken from a new book titled Overcoming Obamacare written by Philip Klein. Philip is our guest today and he’s a commentary editor of the Washington Examiner where he writes about domestic politics and policy and runs the opinions section. Mr. Klein, welcome to the program today. It’s like to start by having you tell us a little bit about your background. Well, basically I’ve been a journalist for a number of years, and particularly over the last ten years I’ve been focusing on politics, and my interest ultimately lies with policy because I think that politics are a route to policy, and one of the most important policies in my view is health care. It’s the largest segment of our economy, it’s the largest component of our national budget, and in the long term it has the biggest effect on our fiscal future, and not to mention it’s the most personal, and that’s everyone wants to have the best care for themselves and their loved ones. That’s great. So you were inspired to write this book. What inspired you to write it? Well, with Overcoming Obamacare what I tried to do was lay out some of the alternatives among republicans on health care. It’s pretty popular, it’s pretty common to believe that republicans and conservatives have no ideas on health care, that they just want to attack Obamacare, that they don’t have any sense of what they’d want to do themselves, and that’s not quite accurate. The reality is that there are a lot of ideas on the right among conservatives, policy analysts, as well as elected republicans about what to do about health care. The problem is that they haven’t agreed on a single one due to a number of fundamental differences, and so what I tried to do with this book is to try to organize a lot of the plans that have been released on the right and divide the thinking on the right in the post-Obamacare world into three basic approaches or schools of thought, and my point was to try to get this…frame this debate at a time when republicans are taking over the senate, the 2016 presidential race is starting to heat up, and we have a major supreme court case that has huge implications for the future of Obamacare. That’s interesting. So in your book you talk about government takeover. Can you talk a little bit about that? Sure. Obviously this is a controversial term. Liberals say that Obamacare isn’t a government takeover and bristle at any suggestion that it is. If I were to be fair I’d say they have a point, but only up to a point. That is that Obamacare didn’t instantly transform America into Britain, fully social system in which government owns the hospitals, pays the doctors, rations care to the sick, however it took a huge step toward a more centralized system and it put government in control of most people’s health care. Right now under Obamacare it expanded Medicaid which is a fully government-run program, it provides subsidies for individuals to purchase government-designed insurance on government-run exchanges, and it also mandates that individuals purchase insurance that meets certain requirements that are specified by the government, and it also includes this medical loss ratio which forces insurers to pay out a certain percentage of the money that they charge in premiums to medical claims. So essentially it’s a cap on the profits and administrative expenses of insurers and that effectively turns insurers into operating as a government utility. Their profits are effectively capped by government and effectively they can only offer products that meet government specifications. And I would just say that Obamacare as passed represented a compromise. President Obama himself has said if he were starting from scratch he’d want to have a single-payor health care system. Many democrats preferred that system, they tried and failed to have a government-run plan or public option to be offered on these exchanges along with private plans the hope being that over time that would migrate the system into a single-payor system. And so clearly that’s the long term goal but democrats knew that they couldn’t get there immediately so they decided to settle for a field goal for now and live to fight another day, and that’s why I believe that if republicans don’t do something to offer an alternative that ultimately when democrats get another opening they’re going to build on Obamacare and we’re going to move further towards that eventual full government takeover. Right. So there are some that might argue that government takeover isn’t bad and that limiting the profits of insurance companies is not a bad thing. What would you say to that? Well, I’d say a few things. One thing is that Obamacare, although it caps the percentage margin of profit that insurers can have, it doesn’t go after the insurance companies. It’s actually a boon to insurance companies because what it does is it says, “We’re going to require you to purchase insurance and then we’re going to subsidize people to purchase insurance.” Now what business in the world wouldn’t want a system under which government basically requires people to buy your product and then gives them money to help them buy your product? Everyone would want that deal. What I’m saying is that what Obamacare represents is this ugly alliance between big business and big government. And the reason why we wouldn’t want a system where there is centralized control is that ultimately there’s two dominant schools of thought on how you control costs, one is you have the government ration care to the sick which is what we see in socialized systems such as the NHS in England where there are government boards that say for instance, “We don’t think that it’s worth allowing this cancer patient to get this certain treatment beyond this certain amount of time because it’s too costly and that same amount of money could be spent somewhere else in the system.” There are all sorts of horror stories about government pulling the plug on individuals without even notifying the family, issues where in England people have been stuck in waiting rooms or in hallways of emergency rooms for days being forced to drink dirty water from vases, and this is supposed to be touted as a sort of humane system, but the idea behind trying to control costs in a single-payor system is you ration the care to the sick and the government determines how you’re going to get your care. And the reason why this will never work in America is that Americans are individualists and they don’t care about what works best for the average patient. Everyone in America wants to be treated as an individual and what works best for them as an individual patient, and the way that you get there, the alternative, is to have a system in which individuals are in charge of their own health care, a system in which there’s more transparency about how much things cost, a system in which individuals have control over their health care dollars which gives them an incentive to shop around for the best deal. 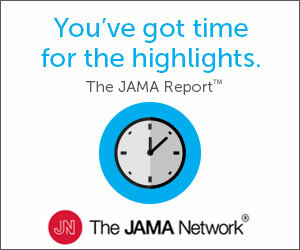 There was a study that came out a few months ago that found that when individuals were given a tool, an online searchable tool to look at the differences between different medical procedures and treatments that they actually did shop around on procedures such as CAT scans or MRIs, they actually ended up spending less than people who weren’t given that tool. I think that if you look at the iPhone that I carry around in my pocket, it’s a camcorder, it’s a flashlight, it’s a tape recorder, it’s a CD player, any number of things that years ago would have cost me thousands and thousands of dollars and taken up all this space with all these gadgets I have in my pocket for a fraction of the cost. That’s because we have a system in the consumer economy that makes people want to chase the best deal and quality improves over time as prices go down, and that’s what Americans are used to, and we can have that for health care if we get government out and try to move to a more market-based system. It seems to make a lot of sense, Philip. There is a perception that republicans generally aren’t interested in expanding access to care. In your book you talk about three basic approaches and alternatives to the current law. Can you talk a little bit about that? Basically republicans do have a debate over what the appropriate level of government involvement is to try to expand health insurance, and one area where I just draw a distinction, you talked about health care access, and conservatives and supporters of limited government would draw a distinction between health insurance and access to health care. So for instance, what we have seen with Obamacare is that it places so many restrictions over insurance policies that insurers have responded by narrowing their networks and going to doctors and saying, “We’re going to reduce the amount of money that we’re paying you,” and a lot of doctors are dropping out of these insurance arrangements, and it’s the same thing with hospitals. In California there are a number of lawsuits against insurers because of these narrow network plans and that’s what you see. So somebody could have a ticket that says they have insurance but that doesn’t necessarily mean that they have access to the health care that they want. This is reducing access to the current health care profession. So I think during the campaign in 2008 our president talked a lot about being able to keep our doctors, is that the impact that you’re seeing, you know, from the reduced size in the network? Yes. I mean it’s pretty clear if you look at the plans, what happens is that Obamacare includes a lot of mandates, not just the famous individual mandate and requirement that ensures cover preexisting conditions, and that they don’t charge more based on health status, and it limits what they can charge based on age, and so forth. All of these things drive up the cost of insurance. So in order to mitigate the premium hikes that are natural economic responses to these mandates insurers respond by saying, “Okay, we’ll cover this stuff, you know, we have to meet certain requirements in terms of out of pocket expenses and so forth, we can only get away with premium increases to a certain degree, so our work around is that we’re going to offer less access to individuals. We’re going to narrow the network to just the doctors and hospitals that are willing to accept our cheaper payment rates and compensation rates,” and you see that throughout the states in these plans, and like I said, in California there’s been a lot of lawsuits on this front, and I know we got kind of sidetracked from your question about the three different approaches that I mention in my book, Overcoming Obamacare, so if I can just get back to that. I’d say that basically republicans kind of looking at the landscape of Obamacare, they break into these groups. One is what I call the reform school and these are basically people who say, “Look, Obamacare has been in the books for several years now, it now has millions of beneficiaries, republicans aren’t going to be able to disrupt all of this and simply just repeal Obamacare.” So they argue that republicans should instead make it essentially reform Obamacare to take away some of its more onerous aspects and to make it function in a more free market direction without fully repealing it. The second school of thought which I call the replace school, and you hear this a lot among republicans, repeal and replace Obamacare. This is the school that thinks that repeal is not only politically possible but that it’s a policy necessity to be able to get a functional health care system, but that it’s only going to be possible to repeal it if there’s a replacement that does offer broad access to some sort of health insurance subsidies for individuals to purchase insurance so that…essentially it wants to account for people who are beneficiaries from Obamacare and still preserve some sort of safety net for those with preexisting conditions and low income people who can’t afford insurance. And then the third school of thought I call the restart school, and these are people who are more free market and limited government purists who don’t believe that government’s role should be to expand insurance but instead they believe that government should be focused on trying to bring down costs and giving individuals more control over their ability to spend their own health care dollars, and they think that Obamacare needs to be completely wiped out and that republicans need to pass a free market plan based on this clean slate, and so that’s where the debate is playing out on the right. If you’re just joining us you’re listening to Voices from American Medicine. I’m Frank Russomano and I’m joined by Philip Klein, author of Overcoming Obamacare: Three Approaches to Reversing the Government Takeover of Health Care. So from a political perspective is there a perception that one approach or the other can be most successful in a political platform? Well, right now there is…basically that’s one of the debates. As I note in my book, basically everyone is sort of making a calculus, that calculus takes into account…is trying to balance out what’s the best policy and what’s politically possible, and some people might be willing to support certain policies based on the political possibilities whereas other people might place more emphasis on the policy, and so there is certainly…one of the debates is can republicans truly repeal Obamacare. There is obviously one school of thought which is no, it’s not only entrenched in terms of the beneficiaries, but the whole industry, the health care sector has spent years now building and organizing itself around the health care law, so to uproot that and then impose a new system on them might be very disruptive to a lot of these industries and not just to the individuals who might have their insurance disrupted, and may look at how historically republicans, for all they rage against big government, haven’t been able to do anything to really touch Social Security, Medicare, Medicaid, which are deeply entrenched. Philip, you know, as I think about the debate we are paying appropriate attention to the patients in this equation, but doctors and nurse practitioners and all the health care professionals have a big role in the way we deliver care in America. Have you heard from them? What’s their opinion about Obamacare and the various approaches to reform? Well, I think that there are a lot of big complaints from doctors and from the medical community. I mean, some are obviously happier than others and there are a lot of winners and losers with Obamacare, but I think that one of the big problems for doctors is that the payment rates are so low because you have not only, like I talked about earlier, these access issues caused by insurers now having to pay lower and put more pressure and put more of a squeeze on doctors, but you also have Medicaid expanding, and Medicaid pays the lowest to doctors out of anything, it pays even below Medicare rates and so what you’re seeing is that a lot of doctors are no longer accepting Medicaid, and if you look at a lot of surveys of doctors, there is a lot of indication that doctors are thinking of retiring earlier and more people are deciding not to go into medicine. And so also I’ve heard a lot of complaints in terms of a lot of the health IT requirements. I mean, part of this dated back to the economic stimulus bill, but there is this perception that somehow this huge savior, this easy fix is adopt electronic medical records, and here in Washington, basically everyone talks about wanting to reduce health care costs but nobody wants to do that by cutting people’s benefits so they often look for these sort of easy fix like talking up preventative care or talking about electronic medical records, but in practice they don’t actually produce the savings that are touted, and I think that a lot of doctor’s offices are frustrated by all of the mandates on them, having to purchase expensive electronic medical record equipment, and it doesn’t really improve care even though anecdotally it sounds like oh, we’re going to create all this efficiency by moving everything to computers. In reality that hasn’t shown to be the case. And so I think that nothing was done in Obamacare to address the issue of medical malpractice which is a big issue for doctors. I mean, survey after survey shows that doctors routinely order services because of defensive medicine, essentially they want to mitigate their potential liability in a lawsuit by saying that they took all these steps and ordered all these tests, and that drives up health care costs, and Obamacare didn’t do anything to address those concerns. So I think that’s also one of the reasons why…because Obamacare changes that it makes the hospital payment rates through Medicare is also expediting this process of hospital consolidation and you’re also seeing more private practices closing and more doctors moving into associations with hospitals and letting the hospitals deal with the sort of overhead and bureaucratic stuff, and so that’s the sort of dynamic that you’re seeing, and I think it particularly hurts rural hospitals because basically Obama wants to say, “Well, you know, the Mayo Clinic and the Cleveland Clinic are able to produce great quality care at a low cost, so why can’t we do that everywhere?” Well there might be things that are unique to the Cleveland Clinic and the Mayo Clinic, and there might be situations in which a smaller rural hospital won’t be able to achieve the kinds of economies of scale as a larger hospital, and so it’ll suffer greatly as a result of these laws. You might see more rural hospitals shutting down and then people in these areas having to travel longer distances to get care, and so I think that there’s a broad number of changes that aren’t the greatest for medical professionals. Well there’s no question that we’ve got to make sure that we include their opinion in the debate. In the next couple of years we’re going to see lots of debate as the presidential nominees come forward and start to talk about health care reform. It’s early yet, but do you see any of the projected presidential nominees leading the argument on health care reform? Well, in my book Overcoming Obamacare I talk about Bobby Jindal who is…Bobby Jindal is someone who has a big background in health care. He worked for the HHS under Bush, when he was still in his twenties he was in charge of Louisiana’s large hospital system, and he is somewhat of a health care _____ (24:38) himself, and he put out a plan last year that is a plan that feeds into the school of thought that I talked about that I called the restart school which he really believes that republicans should approach the issue without trying to sort of compete with democrats on meeting some coverage target, but instead focus on market-based reforms that put more money in the hands of individuals and gives more flexibility to states to try to bring down costs, and it will be interesting to see if his plan and his candidacy gains traction. If it gains traction then it might tilt the general, the center of gravity toward that kind of approach among other republican candidates because they may feel like they can’t get sort of out flanked by Bobby Jindal and they have to release plans along similar lines, and then that could then become where republican health policy coalesces. A lot of the other candidates haven’t got as detailed. We know Mitt Romney produced a plan in Massachusetts when he was governor that ended up serving as the model for Obamacare in that it expanded Medicaid, mandated insurance, and subsidized the purchase of insurance on exchanges. He has since backed away from that and he released a kind of vague plan in 2012 that he didn’t really talk much about during the campaign, but I think that there are more candidates this year and I think there will be a broader debate on health care alternatives. Right. Well thank you for that. I think that’ll be interesting to see how it unfolds and hear the debate, and I’d love to invite you back as the debate goes on and get your points on view on the policy proposals that come forth over the next couple of years. Would love to do that. Thank you for having me. Philip, thanks for joining us today. I really appreciate you sharing your thoughts. I found the book very interesting and recommend it for individuals on both sides of the argument. You’ve been listening to Voices from American Medicine featuring perspectives, challenges, and triumphs from medical professionals on the frontlines of health care. Voices from American Medicine is hosted by Frank Russomano and to access this program and others in the series please visit us at ReachMD.com/voices. “One cannot understand policy without appreciating the philosophy that is driving it.” That’s a passage taken from author Philip Klein's book, Overcoming Obamacare: Three Approaches to Reversing the Government Takeover of Health Care. Mr. Klein is commentary editor of the Washington Examiner, where he writes about domestic politics and policy, and runs the opinion section. He joins host Frank Russomano to discuss strengths and limitations of the Affordable Health Care legislations, and the plausible alternatives that would need to be implemented before considering an overhaul of current policies.